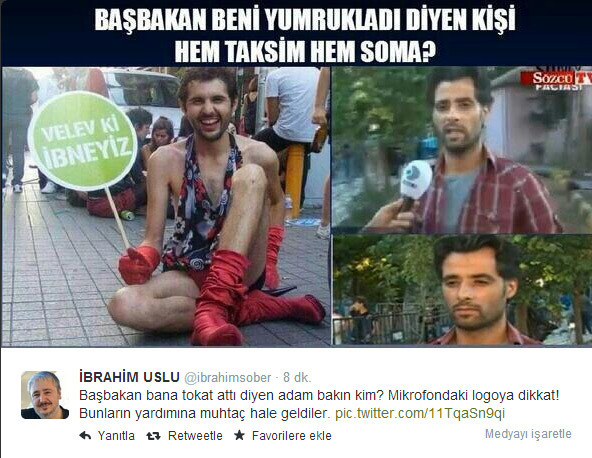 However, other news sources that considered the photo fake wrote that Taner Kurucan is not gay. Nevertheless, they have continued to divulge my private information. Can you imagine that? One website displayed my photo by blurring my legs, but showing my name and face. While mentioning that his struggle for LGBTI rights has been going on for years with the resulting exposure to violence due to this struggle, Keskin protested against the public’s ignorance of his struggle and instead him becoming known due to this issue. “I have struggled for LGBTI rights over the years and carried out several performances. I was exposed to the police violence and struggled against the prosecution but wasn’t considered as newsworthy. Now, due to the slapping of another person, in order to damage his reputation, my photos have been disclosed. In Turkey, even in court houses, homosexuals are not considered at all. But I will go on struggling,” he said. He / she still looks like he’s 30. Amazing.